Philippe entered the corporate world through the management-consulting firm Stanford Research Institute, where he worked for large corporate groups like France Telecom. He then spent six years working in Private Equity Banking for Capital Privé (an independent organization). He joined Vivendi Telecom International in 1998 as a financial director. He worked on many projects in central Europe and Africa, and became in 2001 chairman of the board for Elektrim Telekom, second largest polish company in telecommunications. 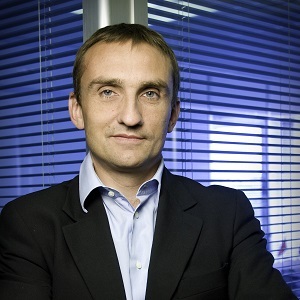 After having restructured and developed the company assets in a quite innovative way (introduction of the first triple play offer in Europe and creation of a full web Sim Only Mobile Virtual Network Operator), Philippe Houdouin successfully conducted from 2005 on an arbitration against Deutsche Telekom and new owner of Elektrim group, resulting in 2011 in a victory for Vivendi totaling 1.3 billion euros. In 2006, with the help of Truffle Capital, he took over and turned around « Phone Systems & network » (renamed Keyyo in 2008), a new generation telecommunications provider specializing in business to business and public sector. Philippe advocates for a rebalancing of the regulation in the telecommunications in France, in order to introduce more competition into the business to business telecommunication industry and develop an innovative strategy based on services. He has graduated from Ecole Navale and holds a Master’s degree from HEC Entrepreneurs.